The German federal agriculture ministry is launching an €2.46 million project aimed at reducing the use of antibiotics in broiler production. The project will look at individual areas of production and develop new and improved methods and technologies to tackle the problem and reduce eh pathogen load without the use of antibiotics that could produce and increase in antibiotic resistance in both the birds and humans. The projects will look at infections and hygiene at the breeding stage, optimising farming methods in rearing the birds and in feeding regimes. It will also look at ways of disposing of poultry litter and faeces and optimising and developing new methods and technology for slaughtering and processing broilers. The focus of the research project is the reduction of the burden of antibiotic-resistant organisms, especially Extended Spectrum Beta-lactamase-producing Enterobacteriaceae (ESBL) and methicillin-resistant Staphylococcus aureus (MRSA) on poultry meat. The research project will run for three years. The project partners are the Free University of Berlin, the Institute of Animal and Environmental Hygiene, the Institute of Poultry Diseases, the Institute of Meat Hygiene and Technology, the Institute of Food Hygiene and the Institute of Animal Nutrition at the cooperative project part. Other project partners are the Institute for Hygiene and Infectious Diseases of Animals of the University of Giessen, the Clinic for Birds and Reptiles of the University of Leipzig, the Leibniz Institute for Agricultural Engineering, the Friedrich Loeffler Institute, the Federal Institute for Risk Assessment, the Central Association Deutsche poultry industry, the EW Nutrition GmbH and Boehringer Ingelheim Veterinary Research GmbH. The project is part of the “Eine Frage der Haltung: Neue Wege für mehr Tierwhol” (A Question of Attitude: New Ways for Increased Animal Welfare) initiative. This is a programme funded by the German agriculture ministry, BmEL, establishing research projects for the development and standardisation of animal welfare indicators to help improve farming methods and the welfare of livestock. The EsRAM project is also part of the German DART 2020 strategy, the antimicrobial resistance strategy, adopted by the German government in May last year. 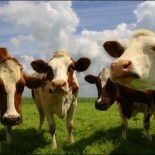 The German agriculture ministry said: “Antibiotic resistance is a serious problem. Bacterial infections can become sever or even no longer treatable because antibiotics lose their effectiveness. “This results in longer and heavier progression of disease and possibly premature fatalities. “That is why the fight against antibiotic resistance in of great importance. DART 2020 is designed to prevent the emergence and spread of antibiotic resistance. He added: “We can develop ways of preventing antibiotic resistance only if human and veterinary medicine to work closely together. “With the 16th amendment of the Medicines Act, we have already a system for minimising antibiotics in livestock production established in Germany. The DART 2020 initiative looks to strengthen cooperation and research both domestically and internationally in the fight against antibiotic resistance. It will look to detect early trends in resistance through new monitoring systems, maintain and improve treatment options and interrupt chains of infection early and prevent infection. This entry was posted on March 9, 2016 by agedchrisharris in Meat, Poultry, Uncategorized and tagged antibiotics, Antimicrobial, Germany, Legislation, Poultry, Research.